IF YOU PREACH THE GOSPEL OF THE KINGDOM OF GOD AS JESUS COMMANDED US, YOU GET KINGDOM RESULTS. We weren’t told to preach the gospel of salvation, but the gospel of The Kingdom of God. You can’t have a kingdom without a king and you can’t enter that kingdom without submission to that King, Jesus. Jesus can’t be savior if He isn’t Lord in your life. You can know the word of God and not know or experience the God of the Word. This ministry is dedicated to showing why we are not knowing or experiencing the God of the Word in order that you might. God created us for intimacy with Him and to experience His power and presence. We are not to be a church that has a form of Godliness and deny the power thereof. The resurrected Jesus appeared first to a woman and He told her to “Go tell His disciples” and so I do just that! 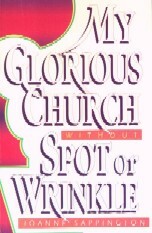 We are a ministry dedicated to teaching discernment in the church and preparing a church or bride “Without Spot or Wrinkle”. 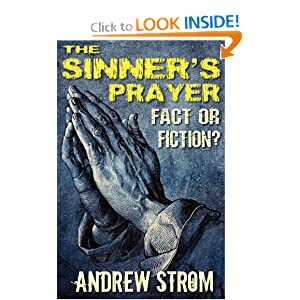 This ministry washes the church in the Truth, or the water of the word in these end times and teaches discernment where there are so many false beliefs and doctrines of demons within the church. We are a prophetic and teaching ministry. God has also called us to a ministry that “Turns the Hearts of the Fathers”. This ministry brings truth and healing into hurting relationships and allows you to apply the truth of God’s word in your life to bring about healing and reconciliation in family relationships. GRACE WITHOUT TRUTH IS LICENSE TO SIN. TRUTH WITHOUT GRACE IS JUDGMENT. CHRIST IS BOTH GRACE AND TRUTH. IN ORDER TO GROW IN HIS IMAGE WE MUST EXPERIENCE CHRIST AS BOTH. TRUTH SHOULD ALWAYS LEAD TO GRACE UNLESS IT IS SHORT CIRCUITED BY DENIAL. You cannot receive the grace without confession and repentance. YOU CANNOT TALK ABOUT GRACE AND FORGIVENESS UNTIL YOU HAVE FIRST TALKED ABOUT AND EXPOSED SIN AND CALLED SINNERS TO REPENTANCE, WHICH IS HOW JOHN THE BAPTIST AND JESUS STARTED THEIR MINISTRY. THIS IS IN ORDER THAT THE KINGDOM OF GOD CAN BE MANIFESTED AND RECEIVED. TODAY, IF YOU CALL PEOPLE TO REPENTANCE AND CALL SIN WHAT GOD CALLS SIN, YOU ARE LABELED “LEAGALISTIC”. This comes from the pit of hell so that satan can stop the KINGDOM OF GOD from being manifested and received on the earth. Jesus declared that the Kingdom of God is at hand, or present to be received, but repentance is required because God will not empower you to not sin if you want to keep sinning, right? JESUS IS THE WAY, OR THE ONLY WAY TO HEAVEN AND ACCESS TO GOD THE FATHER. THAT IS THE SALVATION MESSAGE AND MANY CHURCHES JUST STOP THERE. People never grow to spiritual maturity and the gifts of the spirit are only manifested in the spiritually mature “sons of God”. The inheritance is saved for the “sons of God” and kept or held from the “children of God” until they mature. If we want to see the miracles and gifts of the spirit manifested, the church needs to mature past salvation only. Satan has darkened our eyes to who Jesus is and what He has done because we will take back what he has stolen from us if we mature and were empowered with the gifts of the spirit, walking in the ministry God has called us to. Your pastor and the five fold ministry are to equip you for your ministry. Today, church is just another form of entertainment as we have churches that have a form of Godliness but deny (reject) the power with their “grace is a license to sin, God is love only” doctrine while neglecting the rest. JESUS IS ALSO THE TRUTH WHICH PULLS DOWN OUR STONGHOLDS OF WRONG THINKING. IT IS THE TRUTH THAT WASHES US IN THE WATER OF THE WORD SO THAT WE ARE WITHOUT SPOT OR WRINKLE. TO REJECT ANY TRUTH THAT JESUS BRINGS INTO OUR LIFE IS TO REJECT JESUS. WE MUST BE HUMBLE AND TEACHABLE BECAUSE MUCH OF WHAT WE HAVE BEEN TAUGHT IN THE CHURCH IS WRONG AND HE IS COMING TO RESTORE HIS CHURCH. WE MUST KNOW HIM AS THE TRUTH. THIS IS NOT WHAT JESUS DOES BUT WHO HE IS. As Jesus said to Peter when He knelt to wash Peter’s feet, “If you do not allow me to wash you, you have no part with me.” No part means “no part”, so it is important that we allow the Lord to tear down our mental strongholds of false teaching we have been fed. Be teachable. JESUS IS ALSO THE LIFE. WE HAVE BEEN TAUGHT TO GIVE OUR LIFE TO CHRIST. WE DON’T GIVE OUR LIFE TO JESUS, WE GET OUR LIFE FROM JESUS. GRACE MEANS “I WILL PROVIDE THAT WHICH IS NEEDED OR I WILL EMPOWER YOU.” IT ISN’T THE LICENSE TO SIN BUT THE POWER OF GOD GIVEN TO YOU NOT TO SIN. IT IS THIS LIFE THAT IS THE LIGHT IN MAN. WE HAVE A CHURCH BELIEVING THAT GRACE IS A LICENSE TO SIN INSTEAD OF THE POWER OF GOD GIVEN TO YOU NOT TO SIN, WHICH UNBELIEVERS DO NOT HAVE. YOUR FREEDOM IN CHRIST COMES FROM SIN HAVING NO MORE POWER OVER YOU AND YOU ARE NO LONGER A SLAVE TO IT. YOU HAVE BEEN EMPOWERED TO NOT SIN. JESUS DIDN’T DO AWAY WITH THE LAW. HE FULFILLED IT. WATER BAPTISM IS FOR THE REMISSION OF PAST SIN AND BAPTISM IN THE HOLY SPIRIT IS THE EMPOWERMENT TO NOT SIN, WHICH WAS NOT AVAILABLE UNTIL CHRIST’S RESURRECTION FROM THE DEAD AND SENDING THE HOLY SPIRIT AT PENTECOST. JESUS WAS BAPTISED IN THE HOLY SPIRIT IMMEDIATELY AFTER BEING WATER BAPTISED BY JOHN THE BAPTIST. IF IT WAS SOMETHING JESUS FOUND NECESSARY TO DO, WHY DO WE TAKE IT SO CASUALLY. IF YOU WONDER WHY MORE BELIEVERS ARE NOT BEING BAPTISED IN THE HOLY SPIRIT, DO FIRST THINGS FIRST AND WATER BAPTISE THEM IMMEDIATELY IF THEY HAVE CONFESSED AND REPENTED. REPENTANCE IS THE KEY TO RECEIVING THE KINGDOM OF GOD AND WHAT JESUS DIED TO PROVIDE US WITH. BAPTISMS (plural) ARE FOUNDATIONAL TEACHINGS IN THE CHURCH AND NOT OPTIONAL. WHEN PHILLIP PREACHED THE GOSPEL TO THE ENUICH, HE SPOKE OF WATER BAPTISM BECAUSE HE ASKED PHILLIP WHAT WAS PREVENTING HIM FROM BEING BAPTISED AND PHILLIP TOLD HIM NOTHING. PHILLIP IMMEDIATELY BAPTISTED HIM IN THE RIVER. WATER BAPTISM IS PART OF THE EVANGELICAL MESSAGE IN WITNESSING TO OTHERS. WE MUST ALSO COME TO KNOW JESUS AS THE LIFE. THIS IS ALSO WHO HE IS, NOT WHAT HE DOES. TO REJECT THE WAY, THE TRUTH OR THE LIFE IN YOUR LIFE IS TO REJECT JESUS. LET US ENTER IN TO ALL HE HAS DIED TO PROVIDE US WITH. Jesus said that judgment starts in the house of the Lord or the church first. The Lord will judge His church before He judges the world. That is why the Book of Revelation starts with the Lord judging the churches first and calling them to repentance before judgment and wrath are poured out on the children of disobedience and unbelievers.